UPDATED: Wed., April 25, 2018, 8:48 p.m.
PULLMAN – Not unlike many of his peers, Ernie Kent is eager to see college basketball change for the better. But the Washington State coach is also among a small percentile of college basketball coaches with a platform significant enough to affect such reform. In 2001, Kent, then the coach at Oregon, was appointed to the National Association of Basketball Coaches’ (NABC) board of directors. Seventeen years later, he’s still one of 23 active members on a board that Condoleezza Rice’s NCAA task force turned to last December for advice on how to fix college basketball in the wake of the sport’s wide-scale FBI investigation. Following the Cougars’ game at UTEP, Kent flew to Charlotte, North Carolina, to meet with Rice and other members of the task force to opine on changes needed in the sport. Kent, Kansas coach Bill Self and NABC Executive Director/ex-Oregon coach Jim Haney fielded “tough questions” from Rice’s committee, said Kent, and gave their thoughts on the subjects presented by Rice in the recent Commission on College Basketball report. Rice’s panel has also enlisted opinions from a variety of other groups, including the NBA. In a statement issued by the Pac-12, commissioner Larry Scott said many of the commission’s intentions reflect those held by the conference. Federal investigations didn’t merely touch the Pac-12, but two of its programs – USC and Arizona – were buried underneath allegations made against two assistant coaches, one from each program. Both were fired and a season-long suspension was levied against one of the players involved, USC’s De’Anthony Melton. One of the chief issues presented in Rice’s report is college basketball’s heavily-scrutinized one-and-done rule. 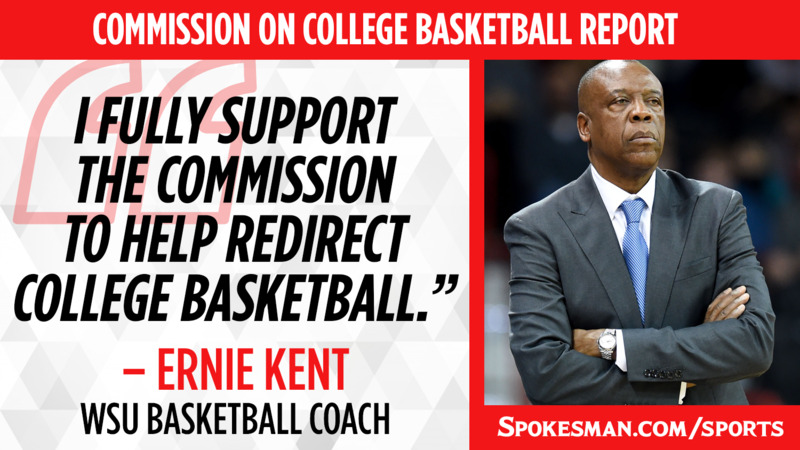 Kent’s glad the group has placed a microscope on the rule, which, in order to abolish as per the committee’s recommendation, would also require cooperation from the NBA. The more wide-ranging topic of student-athlete stipends and scholarships will impact the NCAA beyond college basketball. Kent is unsure how that would manifest itself if change did take place, but believes it’s also an issue worth examining. Published: April 25, 2018, 5:31 p.m. Updated: April 25, 2018, 8:48 p.m.